Love is in the air at Jenna Rae Cakes and we are so excited to share with you all the amazing, new treats our bakers have been working hard at perfecting for you to share with your BFF or bae this Valentine’s Day season. We will have a number of festive items available at our shop at Academy and The Forks leading up to Valentine’s Day. Take a look below to see the love-inspired treats you’ll be able to pick up. We are so excited about this *NEW* menu item! 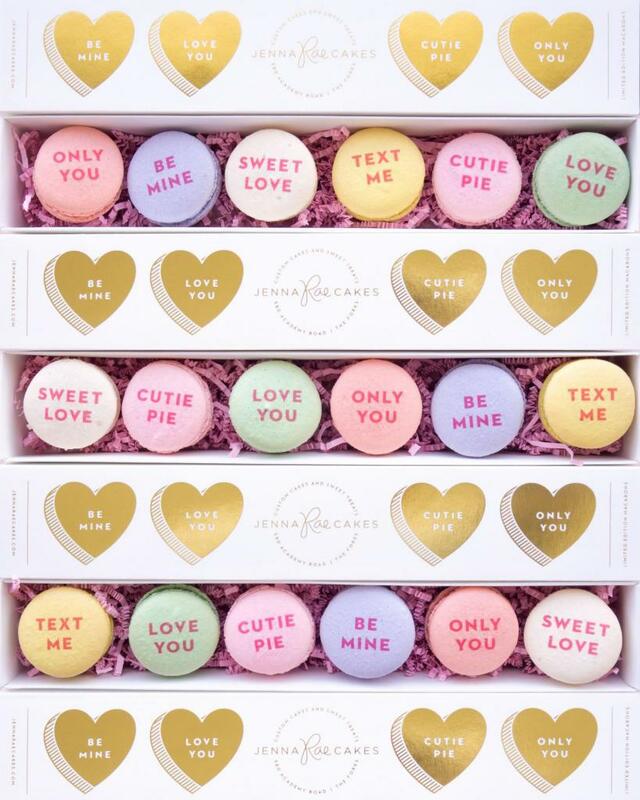 Six of our most popular delicious macaron flavours are printed with a conversation heart saying then placed on a bed of pink crinkle paper in a limited edition Valentine’s Day box! Limited quantities of our Conversation Heart Macaron gift boxes will be available each day at The Forks and Academy so come early to avoid disappointment. Back by popular demand, our large heart macarons are back on the menu and are available at Academy and the Forks in limited quantities. These macarons come in salted caramel, cinnamon hearts or chocolate covered strawberry and are the size of about 3 regular macarons! Big enough to share or gift to someone special. Our featured macaron flavour leading up to Valentine’s Day is Cinnamon Heart! This flavour will be available each day at The Forks in addition to our Winter Menu flavour line up. Just a reminder, our Valentine’s Day Pre-Orders are NOW OPEN and will close on Monday, February 11th at 6 pm. Use the code ‘LOVEJRC’ to receive 10% off your entire order. Pick-up for Pre-Orders will be at our shop on Academy on Wednesday, February 13th and Thursday, February 14th from 12 pm – 6 pm. 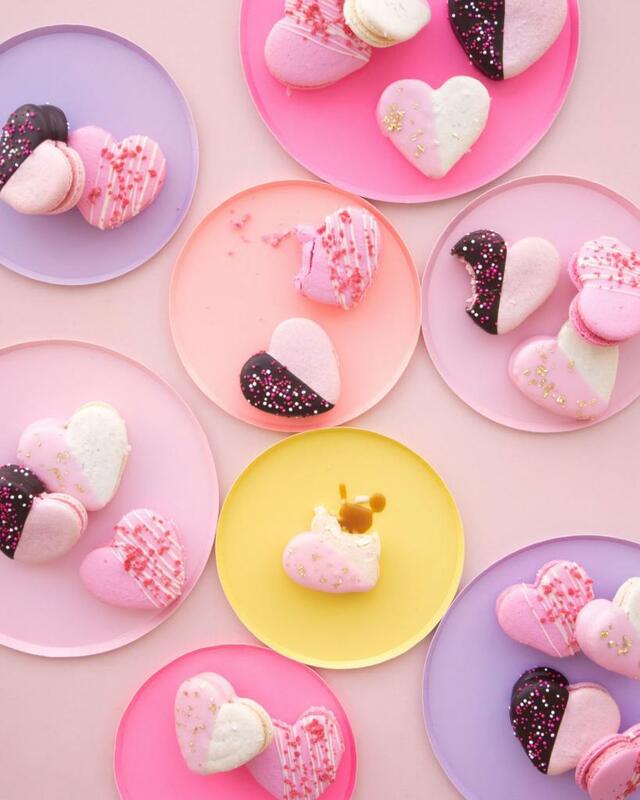 You’ll be able to pre-order our Conversation Heart Macaron sleeves, Large Heart Macarons and more sweet treats including our Conversation Heart Celebration Cupcakes, Conversation Heart Oreo Boxes, Cakes For Two and more! See what is available for pre-order and order your treats here.